As a part of this Spring newsletter, HopeNow has started a collection to enable you to share the joy of Spring with the men and women we work both with and for. On the fundraising site, BetterNow, you can make a donation – and whether you can afford the equivalent of an Easter chocolate egg or you are able to give more, it is all welcome! All donations are used directly for HopeNow’s work with victims of human trafficking – either as support for our social activities and education of trafficked persons and their children, or as a contribution to our outreach work. You can read more about that in this newsletter, where Rikke shares her experiences doing outreach work on the streets of Vesterbro. https://www.betternow.org/dk/stot-kampen-mod-menneskehandel . Please share it with family and friends, so that, together, we can create better conditions for trafficked persons in Denmark. Since 2007 HopeNow staff have been working on the streets to combat human trafficking and during the last few years we have continued our outreach with dedicated volunteers. In this newsletter HopeNow has focused on telling about Outreach from Michelle Mildwater and one of our volunteers perspective. What difference do you think you are making for this target group? What do you get from the work as a volunteer on the Outreach team? 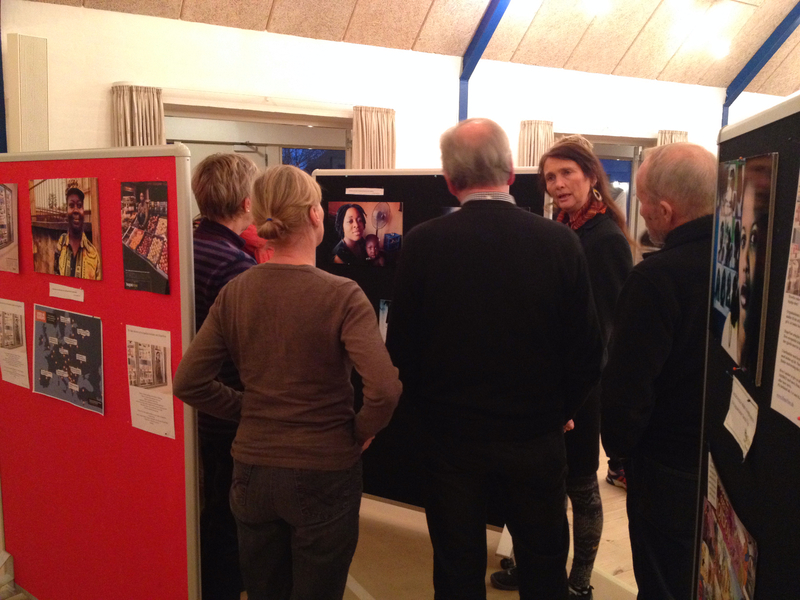 This fantastic event held on Thursday, February 19th by Midfunen Continuation School, Southern Nærø Free Congregation and HopeNow’s volunteer lecturer, Elisabeth Berg, resulted in a profit of 15,000kr for HopeNow’s work for and with trafficked persons. We at HopeNow are extremely grateful for the amazing support. The Funen based newspaper, Fyns Stifttidende wrote an article about the event that you can read here. You still have the chance to become the happy owner of the sculpture “Handle with Care” that the artist, Astrid Søe, donated to the auction for HopeNow. The sculpture was shown in the last newsletter and if you are interested in the beautiful soapstone sculpture, you can contact Elisabeth Berg at elisab.berg@gmail.com. Danish cellist Anja Lillemæhlum from the Danish National Academy of Music has been so kind to dedicate a series of concerts “The Quiet Voice” to HopeNow’s work against human trafficking. 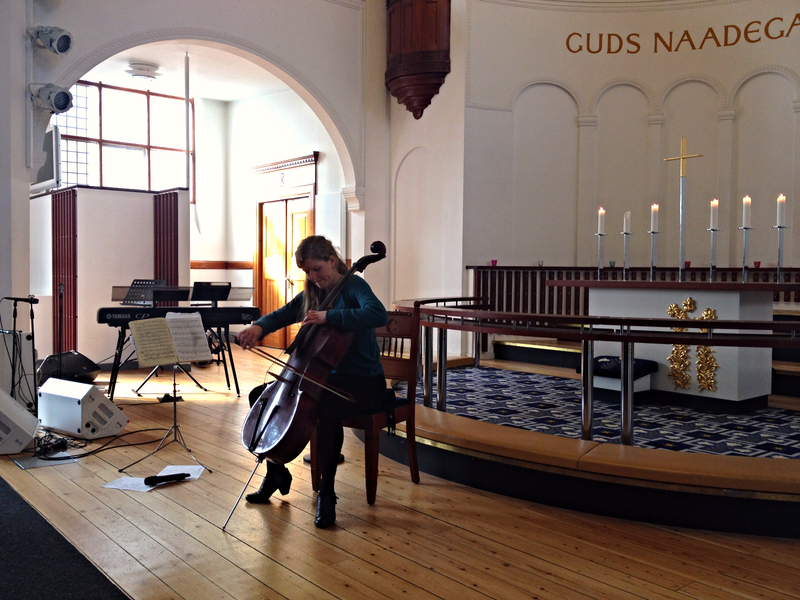 The first concert was held on March 18th and she played a touching and beautiful concert with music ranging from Norwegian Folk to Baroque to new Classical, as well as featuring Lillemæhlum’s own music. HopeNow was also at the concert talking about human trafficking and our work, and there was a small exhibition with pictures of some of the people that we have had contact with and helped. We are repeating this successful event on Wednesday, March 31st, where the entrance fees will go directly to continuing the work in HopeNow. You can read more about Anja Lillemæhlum here and listen to samples of her music here.